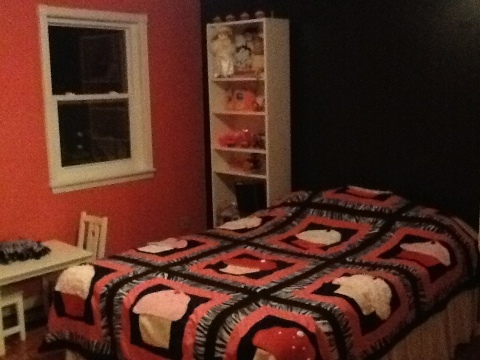 Painting the bedroom | ARTZCOOL'S BLOG! 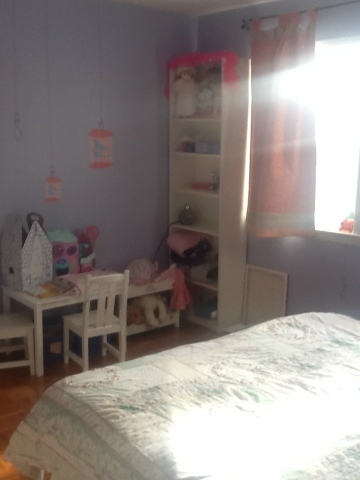 So, if you have been reading my blog, you know that the theme she has picked for her new room is cupcakes, and the colours are black and pink. Now that i have the quilt done, I am ready to paint. I know my mom is going to hate this, but we started by painting one wall black…. 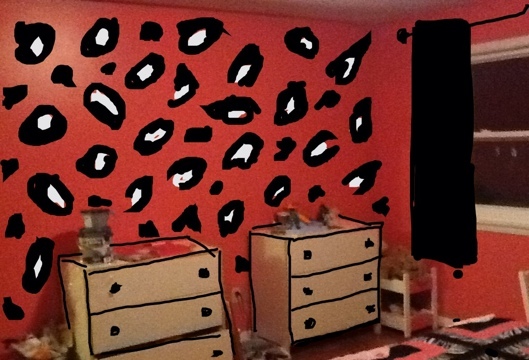 I know, I know, what am I thinking… my daughter is 7… I wasn’t allowed to paint my room black until I was 17! But, don’t judge yet! 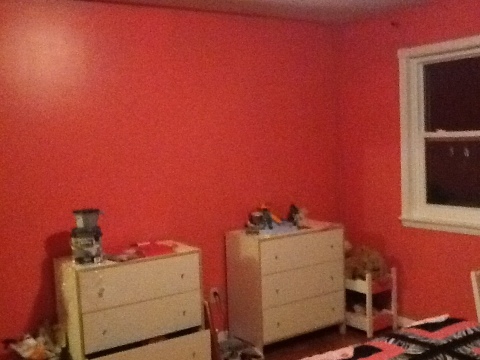 Then, we painted the rest of the room “watermelon pink”. 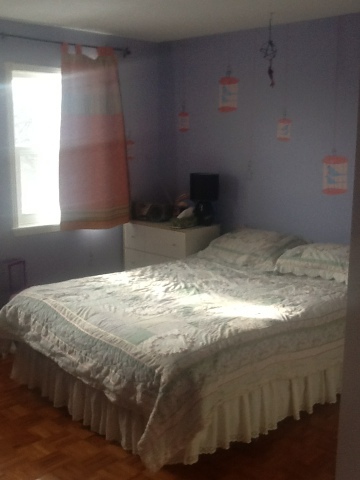 I picked the colour from the pink in her quilt. And… Thanks to modern technology, I can try out some different ideas for one of the walls… What do you think? 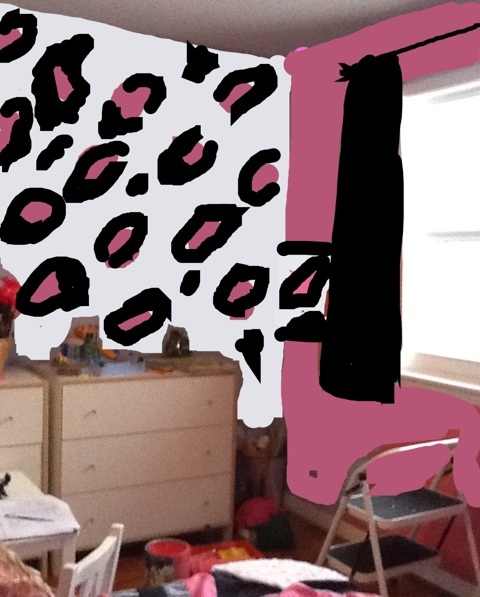 How can you go wrong with pink leopard skin?? I think I like the pink background better, but I will have do do a little test on the wall first to figure out the scale and design… These are just really quick sketches.